This weekend a large group of Scranton MMA coaches went down to Balance Studios headquarters for a belt promotion ceremony. We were very honored to be invited by Phil and Ricky Migliarese. The mats were filled with talent! 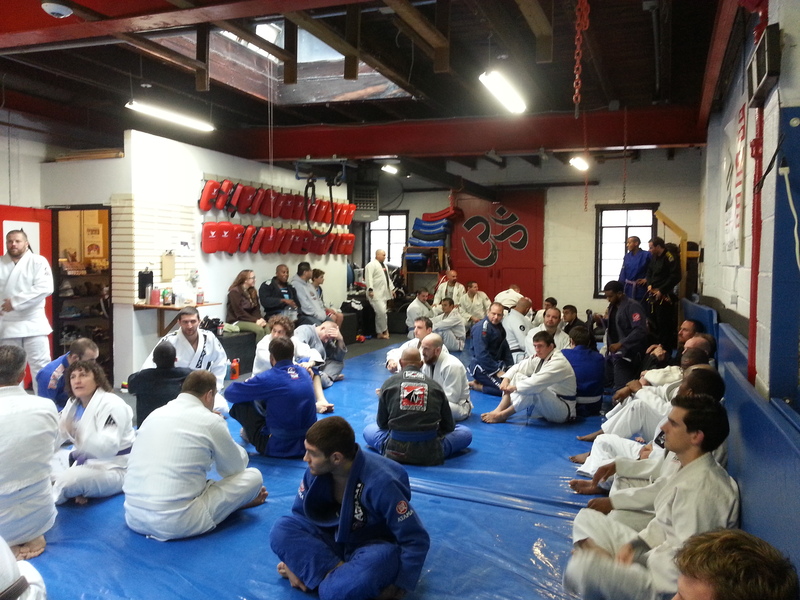 There were more gracie jiu jitsu black belts on the mat then I have ever seen before. Balance has a very rich history since they have been training directly with the Gracie family before the first UFC! 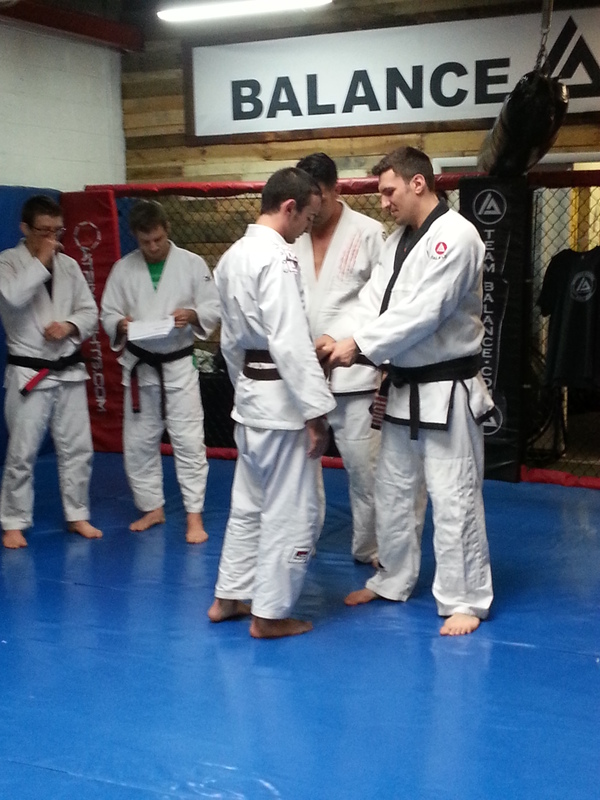 The highlight of the day for the Scranton MMA crew was watching Sensei Dom get his black belt from Phil and Ricky! Dom has over 15 years of Gracie Jiu Jitsu experience and his black belt promotion was a great moment for him. Dom really appreciated that so many of the Scranton MMA coaches went down to support him and witness this once in a life time achievement. So please when you see Dom congratulate him for all of his hard work and for everything he dos for Scranton MMA. Some of our newer members might not know but trust me when I say it Scranton MMA would not be the same without Dom and we would have never gotten to this point without his great knowledge of jiu jitsu, his patience 🙂 and his ability to coach and instruct! He really is one of the absolute best things about Scranton MMA! Dom was not the only instructor to get promoted from Scranton MMA. 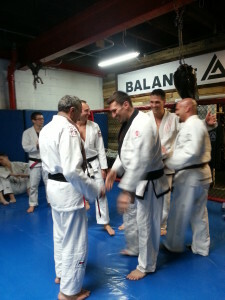 Frank Alogna was promoted to Brown Belt! 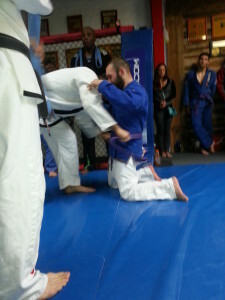 Frank is one of the most dedicated Jiu Jitsu practitioners you will ever meet. 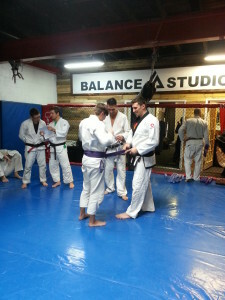 He has worked tremendously hard over the last few years as a purple belt to improve not only as a competitor but also as a coach and instructor. Please when you see Frank at the academy congratulate him on his recent promotion. 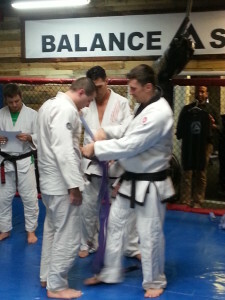 We also had three of our coaches get promoted to purple belt. 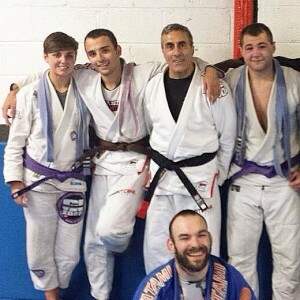 Matt Marcinek, Jess Papi and Steve Peragallo were all promoted from Blue belt to Purple belt! Again all three of them are very dedicated and hard working. 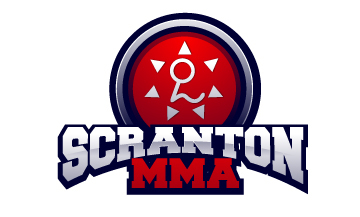 They all compete and coach and have helped Scranton MMA Grow into the academy it is today. Please when you see them on the mat congratulate them on their promotions! Here is a group shot of everyone who got promoted and then a picture that shows about 1/3 of the people on the mat and most of the coaches from Scranton MMA.